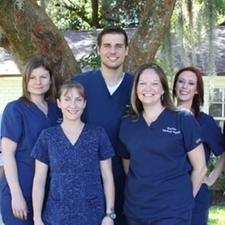 Dr. Garriga completed his undergraduate work at the University of Florida, then attended Ross University for veterinary school. He graduated from Ross University in 2004. 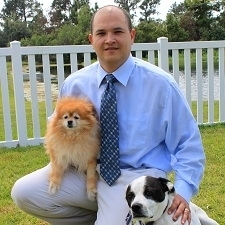 His interests in veterinary medicine include internal medicine, soft tissue and orthoperdic surgery and therapeutic laser therapy. When he is not at work, he enjoys spending time with his family and friends. Areas of interest: Internal Medicine, Soft tissue and Orthopedic Surgery, therapeutic laser therapy. Areas of interest: Dentistry, Internal Medicine, Traditional Chinese Medicine/ Acupuncture. Jennifer is seen here with one of her rescues named Pickle MickVittles. 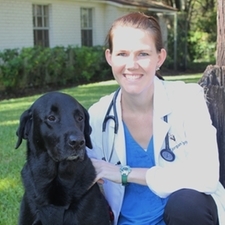 Especially after many years of working in the veterinary field Jennifer finds incredible inspiration in the resilience and wonder of pets as they fight with the forces of nature and cope with disease. It is easy to forget about those people behind the medicine and our staff at RVH knows it starts with amazing people who have made the commitment to share their lives with pets and have made them family. 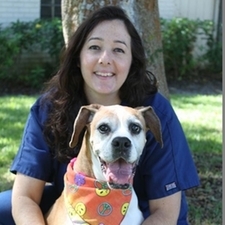 Jennifer is passionate about veterinary medicine and enjoys being in the "trenches" of nursing as lead technician and as manager she hopes to encourage pet wellness in all its stages and invites you and your pets to come by the clinic anytime. You are our neighbors and are always welcome. See you soon! As a Florida native I enjoy exploring our lovely state and adventuring by boat and kayak. We have a great group of veterinary assistants and receptionists here at our clinic, all trained to keep you and your pet safe during your visit and answer any questions that may come up! Whether your pet is nervous, shy, or excited to be at the vet's office, our staff can help ease their worries and make their visit as stress free as possible. Let us know if there is anything we can do to make your pet's visit run more smoothly! Veterinary Assistants: Josh, Shellby, Alex & Ayrianna.